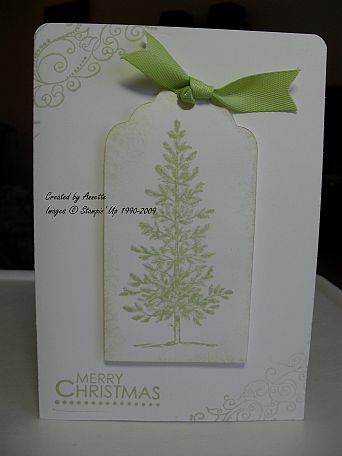 As promised, I am finally getting back to uploading the monochromatic Christmas cards. These were a delight to make, and as you will see, can be made in any colour you choose. With the Rose Red card, I did not have any matching ribbon. Simple answer – dye some. . . . . .. . . . . . . . . .. . . . . . . . . . . . . . . . . . So, a glass dish, a few sprays of water, a drop or two of re-inker, and some ribbon. Mix all together for a few minutes to allow the colour to soak into the ribbon. Drain the ribbon on paper towel, then set with a heat gun. The finished product looks just like the real thing! 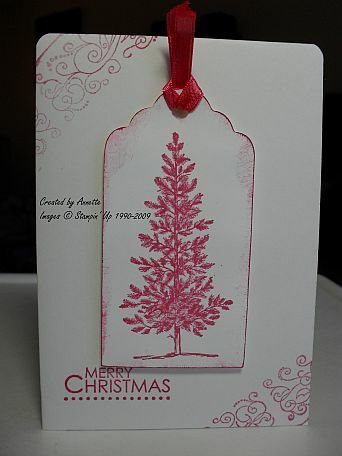 You can check out the ingredients for the cards in my Christmas gallery. Here are a couple of Christmas treat boxes in keeping with this topic. 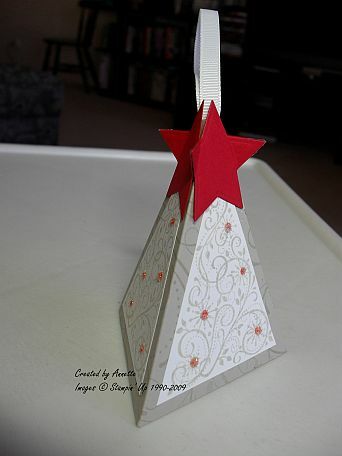 The star lifts off to enable you to open the side of the box and add some delicious treats to your gift. The ingredients for the boxes are in my Anything But Cards gallery.